As a born and bred Mancunian I know what I'm talking about.........AMEN! (Thanks to James for the photo). Australian parenting guru Steven Biddulph has done an about-face on day care and decided it is bad for babies. Biddulph, a psychologist with 30 years' experience and 4 million books sold, has spent five years examining the results of international studies on the subject. This issue continues to be highly controversial. I am not convinced one way or the other because children are all different and standards of care vary, be it that of the daycare or that of the parent. But debate is good. We need information. My problem is that the debate drives social policy. If the politicians can be persuaded daycare is bad for babies then they decide all mothers should be paid to stay home. The collective pays based on government edict. One person is forced to pay for another's decisions, over which he has no control. What should happen is the individual(s) makes their own decision about what is best for their family and takes full responsibility for enacting that choice. That's freedom. The Otago Daily Times is pursuing information about money paid to Ngai Tahu for advice and other help to Corrections in setting up a new 335 bed prison in Milburn, near Balclutha. The department is obligated under the Resource Management Act to work with iwi in the construction of prisons. It pays iwi $45 an hour and up to $350 a day for this collaboration, which it said was consistent with rates paid in the public sector for the kind of work. In a statement, new facilities development project manager Catherine Hall said it was vitally important the department involved Maori in the service provision, development and operation of the prison because Maori were overrepresented in the criminal justice system making up about half of all prisoners. This guy is getting more visits than me. Then again, he's got a better product. National MP Richard Worth is considering drafting a Private Member's Bill to change the law regarding suppression of evidence. He needs caucus approval. Names of victims should be suppressed but not names of accused. He quoted a US Supreme court judge who said, sunlight is the best disinfectant. A simple person like me thinks that the accused is still just that though. There were 5,983 cases involving 8,165 children. I tend to take the view that "grown-ups" are big enough and ugly enough to look after themselves. But what of the children? A lot of these kids will move around in foster care and end up as statistics on other tables, very likely to do with crime. Hard to see the ethnic make-up of our prisons changing much in the near future. For those of you interested in these things, for the first time Family Court Statistics have just been released. - The number of guardianship cases has decreased between 2003 and 2004. - The number of domestic violence cases dealt with in the Court has decreased. - Care and protection case continue to increase but at a slower rate than previously. - Mental health and relationship property cases are increasing. These quotes are from Peter McWilliam's book "Ain't Nobody's Business If I Do" which explores the absurdity of consensual crime. Shouldn't be surprised that the Best Government Website coincides with what they do best - take our money off us. From the ODT; "Gareth Morgan earlier this week he would be giving away his share of the sale. I have had thousands and thousands of letters, and 90% are basically asking for help with their mortgages, he told The New Zealand Herald. Amongst that, there are some genuine needy cases, but I wonder if New Zealanders should look at themselves hard. It’s no wonder the Government has such a job sorting out the benefits and has to employ armies to sort out the genuine cases from the freeloaders, he said. He was shocked by people coveting his new-found millions after the Trade Me deal was announced. I am a bit surprised by the self-centred nature of it." * Today, Wellington guarantees 65 percent of the national average wage upon retirement at age 65. * These payments aren't income or asset tested, meaning everyone receives the same treatment, regardless of wealth. Observers ask: Why would New Zealanders save today if the government will look after them in their old age? And, in the meantime, why should New Zealanders earn too much and accumulate assets when they'll lose their state benefits or be forced to start paying child support or paying back their student loans? What happened to promised "transparency"? I mentioned the other day the seemingly precarious disposition of Pete Hodgson, Minister of Health. This is a shocker. ACT MP, Heather Roy, has referred a directive from him to the Auditor General. He wants MPs to seek his permission before meeting with DHBs and to be provided with a meeting debrief from the DHB. Whatever happened to the "transparent and accountable " government Clark promised us? Here Jim Peron describes his experience of trying to deliver a lecture on political economics to an American high school class. It raised my eyebrows. Does anybody know how this would compare to a NZ high school? A billion minutes ago, Jesus was barely dead. A billion seconds ago, it was 1974. A billion dollars of NZ government spending ago was just 7 days, 2 hours and 24 minutes ago. Update; My most cringing apologies. A reader has pointed out that a billion minutes ago Jesus would have been dead 105 years and a billion seconds ago it was 1974! I did get the bit about govt spending right. 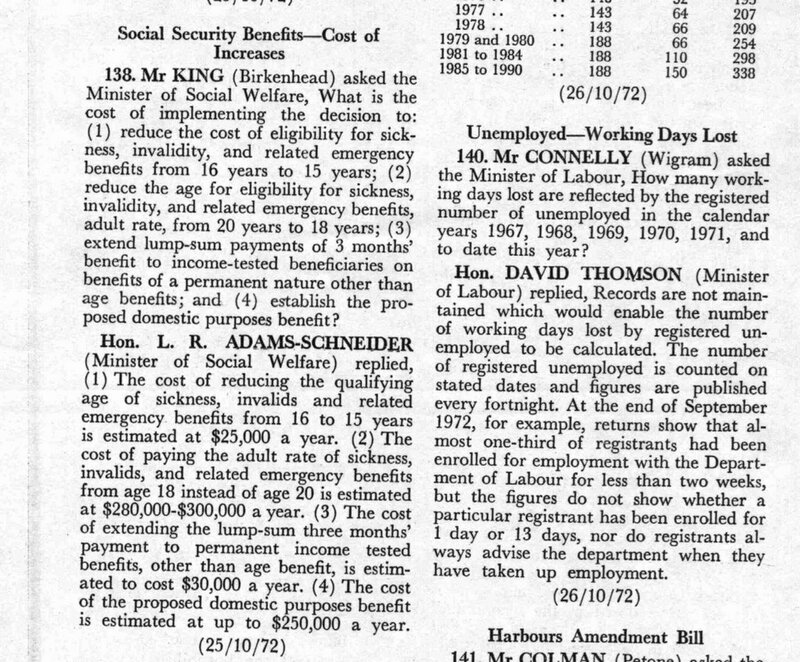 Further from the Hansard debate on the Social Security Amendment Bill which introduced the DPB (reading historical Hansard is preferable to listening to Parliament today). Dr Wall (Labour); "Step by step we are moving to the situation where financial provisions, quite rightly, are being based on the economic requirements of the people who are being supported by our pension schemes of one form or another; but unless there is very close supervision we will see the economic considerations gradually producing economic pressures to alter the social structure of our community, particularly in the family sphere. We see this overseas, particularly in Sweden, where some very drastic and far-reaching changes have occurred in the pattern of family life, and when one looks at the processes by which these developed one finds they are largely due to the step-by-step increases in benefits along the path we are now treading." So some of the members knew they were taking a risk, that they might be letting a cat out of the bag. The "close supervision" never happened. And look! We are still following in Sweden's footsteps. 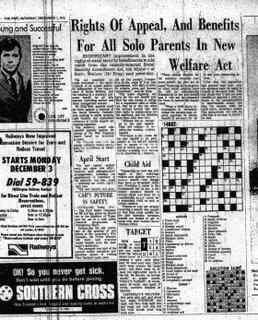 Here is the low key, Evening Post, page 16, Dec 1, 1973 press clipping that announced the introduction of the DPB. "The new benefit will provide all solo parents, irrespective of the cause of solo parenthood, with defined benefit criteria; rates and income exemptions," said Mr King (Minister of Social Welfare). The next is the Hansard from 25 October, 1972, which shows Hon. L.R. 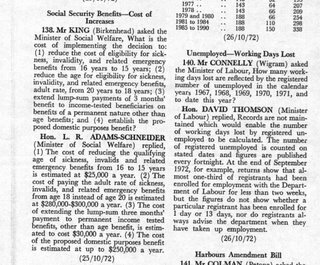 Adams-Schneider, Minister of Social Welfare (soon to be replaced by a Labour government Minister as per above) detailing the expected cost of the DPB. "The cost of the proposed domestic purposes benefit is estimated at up to $250,000 a year." Adjusting for benefit inflation, that's around $4 million by today's standards. Women and children of Aoteroa gang members who are in prison are being victimised by Mongrol Mob members. This makes my skin crawl frankly. There will be very young children and babies involved, quite probably the crimes won't just be against property. A mother speaking to the media says; "I suppose the women's role is really to look after our kids – we are mothers. It's (gangs) a male thing – I don't see women with patches on. We might be around the gang scene but we don't get told anything. We are just the ones who get s... from it". The whole gang scene was "s... really", but it was a case of sleeping in the bed you made for yourself, she said. A detective involved says, "Unfortunately, kids are being exposed to things they should not be seeing when they are kids. If these women believe they are the victims of crime we are quite happy to help them. "In some ways they are victims of their own involvement. If they broke away from the people then they would not be subject to this type of intimidation from the other chapters. The trouble is, they find it hard to break away." And you know who's funding all this misery don't you. A young mother fraudulently pocketed thousands of dollars in benefit payments despite receiving generous financial support from her husband - and taking holidays to America. Her lawyer says she can repay the $27,000 in domestic purposes benefit because she is now eligible for the Government's Working for Families welfare assistance. Lynley Hood, author of "A City Possessed", has written about the appointment of Howard Broad as Police Commissioner. She is not happy. "People who have made up their minds and don't want to be confused by the facts are a danger to the whole society. Since the votes of such people count just as much as the votes of people who know what they are talking about, politicians have every incentive to pass laws and create policies that pander to ignorant notions, if those notions are widespread." "I thought I was the lap dog around here." Scoop reports, Police are going to start travelling in train cabs. From today motorists who try and race trains across level crossings could well find out their act of stupidity has been witnessed by police. This is apparently to deter would-be racers. How? If anyone is that damn fool to play "chicken" with a train is the fact a cop's on board to see them do it going to make a blind bit of diference. 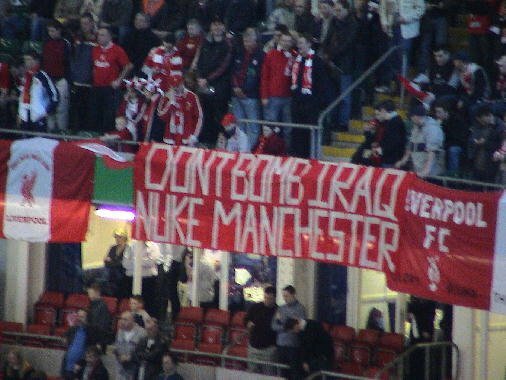 Actually I think it might encourage them. Just wondering as the spokesman of the Police Association, Greg O'Connor wants muslim women wearing burkas banned from driving. He says if their belief is that strong they should stay out of cars. Driving in a burka is just plain dangerous, he said. This article misses an important point. While the growing number of ageing baby boomers will crowd the roads, and their accident rate is higher, even higher is the accident rate of young drivers and there will be fewer of them. Re the Rolling Stones show - Initially fans were told all the tickets had gone. I missed out after a morning spent just trying to get onto the Ticketek website. Then about two weeks ago a radio news report said more had been released. Forget the internet this time. I rang immediately and got 4. The cheapest at that stage, "gold", were $150. I notice in the paper this morning that more tickets have been released for the Wellington show. These are "diamond" at a cost of $350 each. This must be the new strategy for beating the scalpers. Heavens. Another. New Police Commissioner Howard Broad first hit the headlines when he devised a plan for a private police force. He says he will continue to think outside the square. The Dompost reports on board member Peter McCardle's suggestion that the Hutt Valley DHB pays up to thirty percent of people's surgery costs if they go private. "I believe our hospitals and clinicians are doing a great job but the reality is across the nation that there is great need, particularly for people on active review. We must do better and we need to look at other ways of trying to help these people." Peter is an ex ACT man (as well as being a former Minister of Social Welfare in the National govt and NZ First MP). Hutt also has two councillors who are both former ACT staffers. All good people pushing it up hill. In this week's Listener the Prime Minister says,"The post-Orewa period was very unpleasant, but, in a sense, it was therapeutic. A lot of people were able to get a lot of things off their chests. Eventually, a period of reflection sets in and people think,'Okay, all these things have been said, but at the end of the day, I go to work with Maori, I live in the same street as Maori, I'm in the same community organisations, the kids go to school with Maori, aren't we all in this together?'" Absolutely. So why the Maori seats? Why the separatism? Not the best graph but it illustrates well the Labour spin. The lower line has flattened. 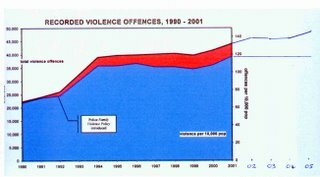 Violent crime is steady. The top line continues to grow. 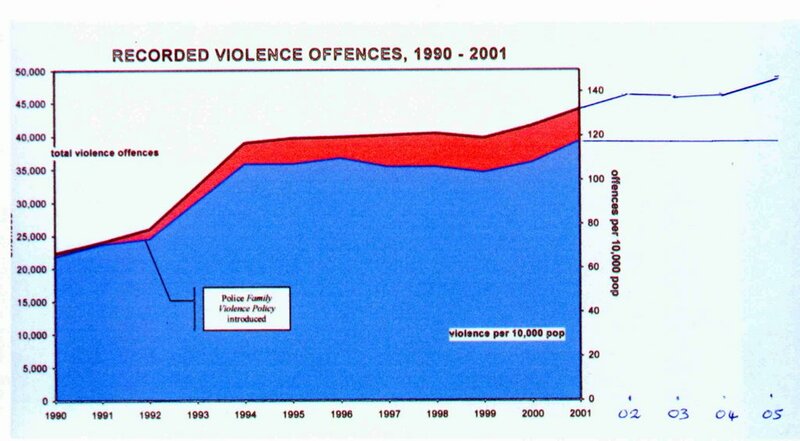 Violent crime is up. Came across this story about a NZ nurse's experience working in Alice Springs in the Taranaki Daily News. Dreadful state of affairs. A man awoke one evening to discover prowlers in his storage shed. He immediately called the police, giving his address, to report a possible burglary. The operator at the other end asked "Are they in your house?" He replied they were not, only in his storage shed in back of the house. The operator said there were no cars available at that time. The man thanked the operator, rang off and waited 30 seconds before calling again. "I just called you about prowlers in my storage shed. Well, you don't have to worry, as I just shot them all dead!" Within seconds there were 3 police cars, an ambulance and fire engine at the scene. After capturing the prowlers red-handed, the policeman asked the caller, "I thought you said you had shot them all?" The man answered, "And I thought you said there were no police available." And is the "joke of the day" from the DomPost:Man hunts down car thief while police busy. John Creser is not surprised crime has risen in New Zealand – when his car was stolen, the Titahi Bay man had to investigate the theft himself. Michael Cullen will today announce new funding plans for the tertiary sector. They want to clamp down on low grade courses (think Wananga). Ministry of Education figures show about 38,000 domestic students completed non-degree courses in 2000. By 2004 that number had risen to more than 80,000. But institutions are largely funded on enrolments and those figures do not take into account the vast numbers of students who fail to complete a course. Labour are now entering a new period where they can no longer blame a previous administration for the problems they face. Watch the numbers on the dole start to rise. Excerpts from an interview with DBP in the latest Jobs Letter (my comments interspersed). On WINZ offices; They're quite positive places. I joke that even the security guards smile and when we don't need them it will be even better. When we don't need them? When we will that be? But they are very welcoming places. And they've integrated Housing in a lot of those offices, and are now trying to convince IRD they want them there as well for obvious integration with taxation and the Working for Families issues. So that model now is going to Cabinet with a view to rolling it out across the whole country. It's called the New Service Model for want of a better name. Convenient. Like a grand state redistribution one-stop-shop. I hope they have drive-through. And I guess they can all share security guards. On the biggest challenge for the next three years; The biggest challenge for MSD is not in employment related matters, but the issue around the reintegration of Child Youth and Family. In the wider social sense I think that's a critical thing for the country. Cabinet took that opportunity because the chief executive went back to Canada unexpectedly and suddenly there was an opportunity and I guess it's a compliment to the operational level and delivery level of the Ministry right now that we felt they were able to do this. So I think that's their biggest challenge. There are no problems - only opportunities. But hang on. 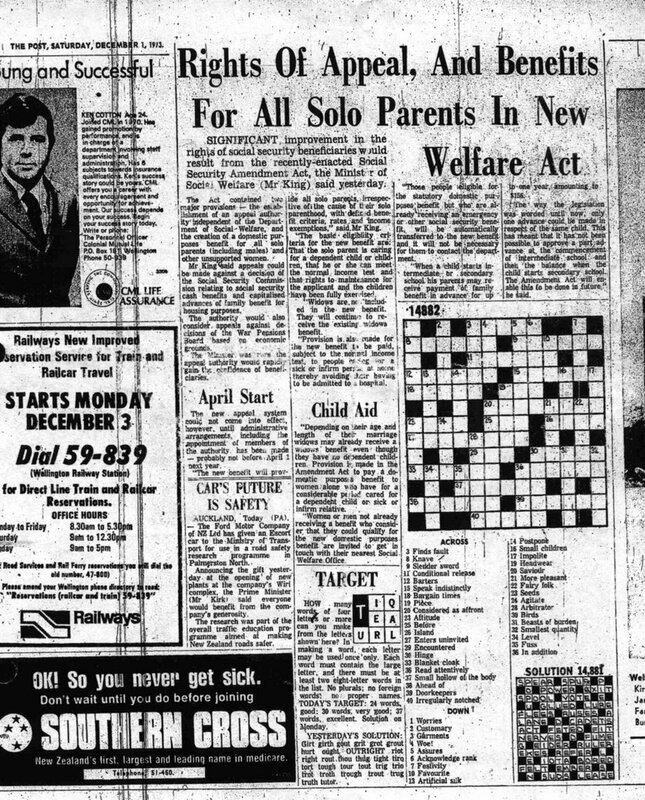 What happened to the introduction of the Single Benefit? Does he trust himself to do the job; I'm constantly touching base with my colleagues who have been there and know where we got to, so I don't go off on a harebrained idea that's mine and not appropriate. Remind me again what is the point of this guy? It must be DBP's worst nightmare, doing something that's not appropriate. On why do we need more young Maori and Pacific Islanders in work; I think when we realise the demographic change that we've got with the huge change in the percentage of young Maori and Pacific Peoples in this country, you and I need them to be working, to be purely selfish, to fund our superannuation in three or four decades. Don't tell me we are going to have this guy around until he's in his nineties! Labour really are convinced they are the party of government. On why we still have skills shortage; I think the first thing is the reliance, in the 90s on the free market to provide the training..... which — in typical free market fashion — didn't deliver. I'm not being trite or simplistic when I say that when no one's got the responsibility for work force supply, you end up with the problems we've inherited. It's official. Benson Pope can do a better job than the market. On preparedness to work; The simplest way we can enhance people's choices around getting involved in the workforce is to have places where their sons and daughters can be properly supervised and looked after. There are big social issues here and we're certainly not trying to force anyone in to work who doesn't want to work. We don't actually try to make people do things, what we do try to do is make sure they have a freer choice about what they do — whether that's opportunity for young people to get schooling or opportunity for you or me or a carer who would like to work to be able to do so because the options are available. So no one's being forced off to the workforce. That's not to say we're not going to support people who need it … because we're the Labour Party, that's what we do. Hello. Around two million working Kiwis are forced to pay tax so your clients won't be forced to get a job?? That's the Labour Party - that's what you do. And (eventually) on Steve Maharey's grand plan, the single core benefit; while I can't say that we will be delivering a single core benefit certainly the system is going to be hugely simplified. After all the song and dance, the media, the seminars, the hoopla, they are quietly dropping it. Be careful Mr Benson-Pope. Are you sure that's appropriate? According to Stuff a new study released by the Human Rights Commission shows there are still too few women in leadership jobs. Equal Employment Opportunity commissioner Judy McGregor said she "surprised and incredibly disappointed. . .the results show dismal progress". A total of 63 of the top 100 New Zealand companies had no women on their boards (46 women out of 645 directors), compared with the total workforce being 47 per cent women. But women only make up 37.5 percent of the full-time workforce. "I'm not hard on it having to be 50-50, but I would ask why is half of New Zealand's potential ignored in terms of governance?" Stuff reports; The Maori Party is warning National against continuing with its campaign to abolish the Maori seats in Parliament. National leader Don Brash is worried about the number of Maori seats increasing and says getting rid of them is an important policy for his party. Maori Party co-leader Tariana Turia said today Maori were "sick to death" of political opportunism. I don't know what she means. Genuinely. I don't. Do you? A TV3 poll found fifty percent support for banning tobacco. 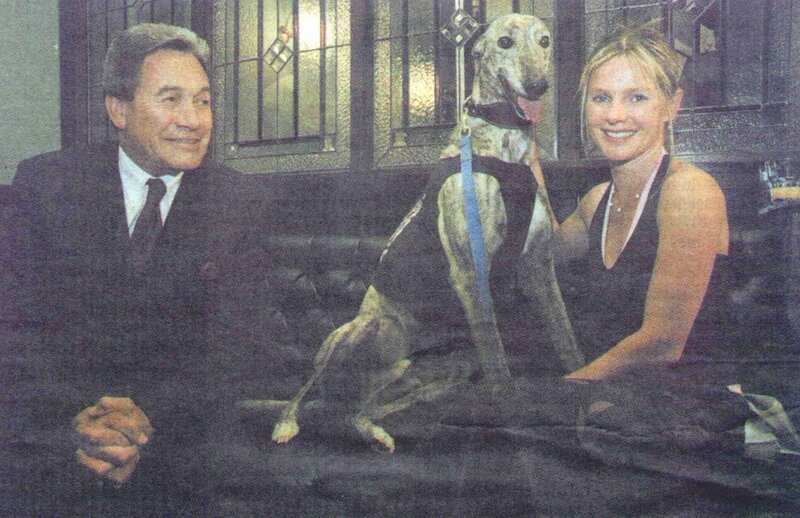 Maori Party MP Hone Harawira is apparently delighted. Many have obviously forgotten (or never learned) their lessons about prohibition and its effects. It was not enough to tell people to change their diet. The Government should change food pricing so that unhealthy foods were more expensive and "good" food was cheaper. So says an overseas "expert". So all the people who eat "unhealthy" food in moderation should be penalised because some people stuff themselves with it. Come to think of it, who will decide which foods should merit higher taxes because they are "unhealthy", when they are only "unhealthy" when consumed in large quantities day in and day out? Apart from which this guy doesn't understand that the international trend is towards economic liberalisation and away from govt intervention in markets. The answer lies in persuading individuals to eat better by making them responsible for their own health - not in govt market manipulation. Newsroom reports, National Party Leader Don Brash has attacked an Electoral Enrolment Centre campaign to sign Maori onto the Maori Roll as "state sanctioned separatism ... that ultimately encourages a racially divided electoral model." I have no doubt that one of the reasons 100,000 Maori live in Australia is our increasingly separatist, cultural-identity politics. They are destructive politics. Mercifully we have a high profile politician prepared to say so. In Britain, where an anti-marriage agenda is being strongly promoted by the public service, universities and government funded social agencies, family problems are rife, with Britain topping the league tables in several of the most worrying indicators of breakdown, including divorce and teenage pregnancy. In Sweden, where a comprehensive social engineering programme has transferred many family responsibilities to the state - to a degree unseen outside of the Soviet bloc - there are even higher rates of out-of-wedlock births and cohabitation than Britain. Italy, however, has effectively had no government intervention into the family, and is still the home of the traditional family unit. Divorce rates and out-of-wedlock births, including teenage pregnancies, are extremely low. 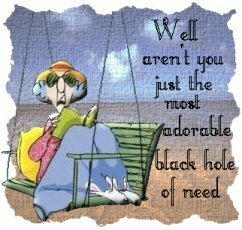 Cohabitation is so rare as to be difficult to measure. Young people live with their parents until they get married, and, for most women, marriage will represent their first living-together relationship. But what about the role of Catholicism? James Bartholemew addresses that; Benefits influence behaviour in a big way. I suggest that the different benefits policy on lone parenting in Italy has been the primary reason for the low incidence of lone parenting there. It will be said that no, it is all because the country is Catholic. But I believe, though I have not got the figures to hand, that Ireland has a much higher incidence of lone parenting, even though it, too, is Catholic. Also it is wrong to suggest that Sweden did not previously have a strong tradition of protestant religion and a culture of marriage and 'upright' behaviour. That culture has been undermined. Cultures, even ones heavily influenced by religion, can be changed and have been changed very dramatically around the world in the past 100 years. Then a commentor on Bartholomew's blog points out that the fertility in Italy is very low at 1.2 (The replacement rate is 2.1) Who will pay for pensions, he asks? See the bind we are in. Where sole parenting is subsidised birthrates are higher (but not necessarily the quality of parenting). So once again the welfare state perpetuates itself. The more of it we have, the more of it we need. The western world is addicted to welfare.